Rabbi B. Elka Abrahamson is President of The Wexner Foundation. She oversees the Foundation’s full range of activities and, in partnership with Foundation chairmen Abigail and Leslie Wexner, imagines how the Foundation might further strengthen and education Jewish professional and volunteer leaders in North America and public service leaders in the State of Israel. She was ordained at HUC-JIR, New York, in 1985. She began her career as associate rabbi at Peninsula Temple Beth El, San Mateo, CA. and then, with her husband, Rabbi Martin (Misha) Zinkow, she served as co-senior rabbi at Mount Zion Temple, in St. Paul, MN. Rabbi Abrahamson has been published in magazines, books, and journals including Moment, Shma and the CCAR Journal. Rabbi Abrahamson received the Bernard Reisman Award as an outstanding member of the professional Jewish community. She serves on the Faculty of the URJ as a resource and speaker on leadership. 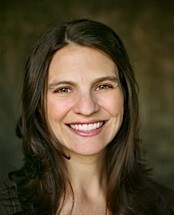 She was twice named one of the 50 most influential rabbis in North America and is a popular teacher and public speaker. 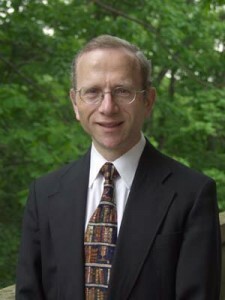 Rabbi Alan Brill is the Cooperman/Ross Endowed Chair for Jewish-Christian Studies at Seton Hall University, where he teaches Jewish studies in the graduate program. Brill is the author of Thinking God: The Mysticism of Rabbi Zadok of Lublin (2002), Judaism and Other Religions: Models Of Understanding (Palgrave Macmillan, 2010) and Judaism and World Religions (Palgrave Macmillan, 2012). Dr. Brill received his BA, MA, and Rabbinical Ordination from Yeshiva University and his PhD from Fordham University. He was a Fulbright Senior Scholar awardee to research and teach at Banares Hindu University in Varanasi, India. Brill just completed a book tentatively entitled “Rabbi on The Ganges: A Jewish Hindu Encounter.” Brill is active in the Jewish interfaith encounter with Catholics, Muslims, and Hindus. Rabbi Sharon Brous is the Founding Rabbi of IKAR in Los Angeles. Brous was ordained by the Jewish Theological Seminary in 2001 and received a Master’s Degree in Human Rights from Columbia University, where she also received her Bachelor’s Degree. After ordination, she served as a Rabbinic Fellow at Congregation B’nai Jeshurun in NYC. In 2013, Brous was recognized as the most influential Rabbi in the United States by Newsweek and the Daily Beast, and as one of the Forward’s 50 most influential American Jews. Beth Cousens is a consultant to Jewish educational organizations, working in areas of strategic research and evaluation. Her clients have included American Jewish World Service, The Jewish Community Federation of San Francisco, the Peninsula, Marin and Sonoma Counties, Kevah, Repair the World, and the Shalom Hartman Institute – North America. Recently, as the Associate Vice President of Hillel’s Joseph Meyerhoff Center for Jewish Experience, Beth led Hillel’s Jewish educational strategy. 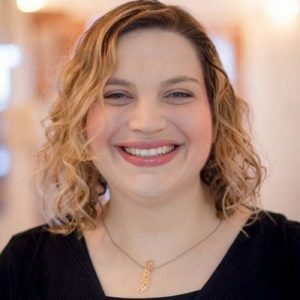 Beth holds a PhD in the sociology of Jewish education from Brandeis University; she also holds an MA with Honors in Judaic Studies from Baltimore Hebrew University and an MSW from the University of Maryland. A specialist in adult Jewish education, emerging adulthood, and the Millennial generation, her dissertation research is entitled, “Shifting Social Networks: Studying the Jewish Growth of Adults in Their Twenties and Thirties.” She lives in San Francisco with her husband. He is author of Quest For Inclusion: Jews and Liberalism In Modern America published by Princeton University Press and California Jews, co-edited with Ava Kahn, published by Brandeis University Press. He is currently at work on two projects, Is It Good For The Jews? Power, Politics, and the 1960s, and American Jewish History: A Documents Reader, which will be published by Brandeis University Press. He serves on the California advisory committee to the United States Commission on Civil Rights, the board of the Bureau of Jewish Education, Camp Newman-Swig, and is immediate past president of Brandeis-Hillel Day School. 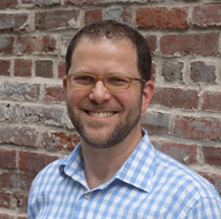 He was recently named Volunteer of the Year by the SF Jewish Community Federation. 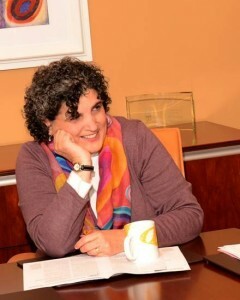 Rabba Yaffa Epstein serves as the Director of Education, North America for the Pardes Institute of Jewish Studies. She received Rabbinic Ordination from Yeshivat Maharat and holds a Law Degree from Bar-Ilan University. She has studied at the Pardes Kollel, the Advanced Talmud Institute at Matan and the Talmud Department of Hebrew University. Yaffa has been a teacher of Talmud, Jewish law, and Liturgy at Pardes for over a decade, and has served as the Director of the Beit Midrash at the Dorot Fellowship in Israel. She has taught Talmud and Jewish Law at Yeshivat Maharat, The Drisha Institute, The Wexner Heritage New Members Institute, Kayam Farm Kollel and Young Judaea. 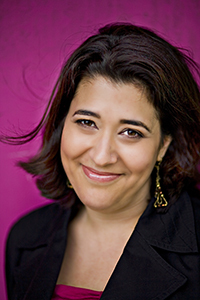 Yaffa has lectured at Limmud Events around the world, has written curriculum for the Global Day of Jewish Learning and has created innovative educational programming for Hillel: The Foundation for Jewish Campus Life. Dr. Michelle Friedman is the Founder and Chair of the Department of Pastoral Counseling at YCT. She received an MD from the NYU School of Medicine and has completed advanced training at the Columbia University Psychoanalytic Center for Training and Research. Dr. Friedman is a highly respected psychiatrist who focuses on the Jewish community and has a special interest in the rabbinate and pastoral counseling. In addition to her private practice and her role at YCT, Dr. Friedman is an Associate Professor of Clinical Psychiatry at Mount Sinai Hospital, New York. 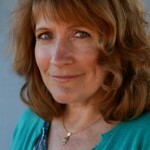 Sue Fishkoff is the editor of J., the Jewish news weekly of Northern California. Most recently she was a national correspondent for the JTA Jewish news service, focusing on Jewish identity. From 1991-1997, Sue lived in Israel where she was a staff writer for the Jerusalem Post. Sue received her BA in history from Cornell University and her MA in Soviet politics from Columbia University. Her first book, The Rebbe’s Army: Inside the World of Chabad-Lubavitch, was published in 2003 by Schocken Books. 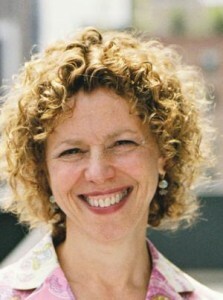 Her second book, Kosher Nation: Why More and More of America’s Food Answers to a Higher Authority, was published in October 2010. She lives in Oakland, CA. Rabbi Dr. Irving “Yitz” Greenberg is the most influential American Jewish thinker of the past half century. As counsel to the leaders of American Jewry for decades, Rabbi Greenberg has helped set the agenda of the American Jewish community. In 1974, Rabbi Greenberg founded CLAL – The National Center for Leadership and Learning, a pioneering pluralistic program that has trained and educated a generation of lay-leaders and rabbis. 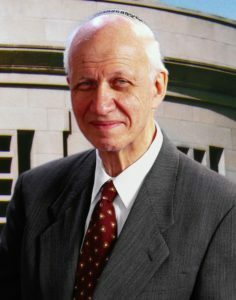 In 1979, Rabbi Greenberg was appointed the Director of the President’s Commission on the Holocaust which led to the establishment of the United States Holocaust Memorial Museum in Washington, D.C., of which he was the chairman from 2000-2002. From 1997-2007, Rabbi Greenberg served as the President of Jewish Life Network/Steinhardt Foundation. Under Rabbi Greenberg’s leadership, the foundation developed Birthright Israel, the Partnership for Excellence in Jewish Education (PEJE), Makor, and the Jewish Early Childhood Education Initiative (JECEI). 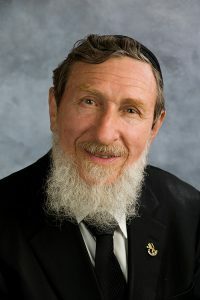 Rabbi Greenberg is the author of The Jewish Way: Living the Holidays, and numerous other books and articles, and is currently completing work on a new book to be published in 2012. He is the author of The Boundaries of Judaism, co-editor of Judaism and the Challenges of Modern Life, co-author of Spheres of Jewish Identity, and lead author of Speaking iEngage: Creating a New Narrative Regarding the Significance of Israel for Jewish Life. In addition, he is a prominent essayist, blogger, and lecturer on issues of Israeli politics, policy, Judaism, and the Jewish community. His new book, Putting God Second: How to Save Religion from Itself, is scheduled for publication by Beacon Press in February 2016. He is currently working on his next book, which is entitled, Who Are The Jews: Healing A Divided People. He is married to Adina, has three children and two grandchildren. Rabbi Kurzweil is an author, educator, editor, publisher, and illusionist. Kurzweil’s book From Generation to Generation: How to Trace Your Jewish Genealogy and Family History is considered to be a definitive introductory guide on the topic. Rabbi Kurzweil has also authored two books in the “For Dummies” series: Kabbalah for Dummies and The Torah for Dummies. Some of his other books include: On the Road with Rabbi Steinsaltz, The Encyclopedia of Jewish Genealogy and My Generations: A Course in Jewish Family History, which is commonly used as a textbook at synagogue schools across the country. During his 17-year tenure at Jason Aronson Publishers, he commissioned and published over 650 works of Jewish interest. Kurzweil has also been editor-in-chief of the Jewish Book Club, president of the Jewish Book Council, and editorial consultant for Jossey-Bass. Rabbi Danny Landes was a founding faculty member of The Simon Wiesenthal Center in Los Angeles (Director of Education) and of Yeshiva of Los Angeles (The Van Lennop Chair of Social Ethics), as well as Adjunct Associate Professor of Law at Loyola Law School. He was Rabbi of the Upstairs Minyan which he merged with the renewed Congregation Bnai David Judea – a center for spirituality, intellectual ferment and social action. He has taught for the Wexner Foundation for over 20 years. 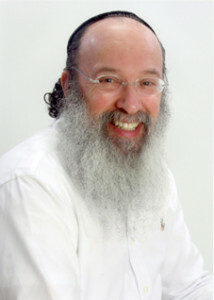 Rabbi Landes came to Pardes in Jerusalem in 1995 as Director and has been active in the creation of advanced Talmud classes, Bekiut Talmud, the Fellows, PEP, the Kollel, the Executive Seminar Programs, the annual Blaustein and Brettler Scholar Series, Pardes USA and strengthening of the Pardes Beit Midrash. He is an exponent of Jewish Unity and also was the first Rabbi to be invited by Indonesia to speak publicly (at the Forum of Religions). He and his wife Sheryl Robbin, a social worker and author, write on Biblical and ethical issues. Rabbi Aaron Leibowitz has been an innovative Jewish educator in Israel for over two decades. He began as a Program Director at Gesher. After three years as an Educational Officer in the IDF, he received his ordination from the Israeli Rabbinate. He then built a successful business in Experiential Education and Corporate Training, and helped found Yeshivat Derech Etz Chaim. Rav Aaron spent six years as the Rabbi of Kol Rina, the famous Miklat (Bomb Shelter) minyan, bringing a special blend of celebratory joy and profound insight to thousands every year. Rabbi Aaron is the founder of Hashgacha Pratit, an alternative community based Kosher food supervision challenging the monopoly of the Israeli Chief Rabbinate. His smicha is from Rabbis Shlomo Riskin and Chaim Brovender. He is an Orthodox City Council member who believes in an inclusive and pluralistic city. 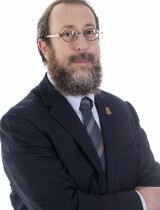 Rabbi Asher Lopatin is the President of the YCT Rabbinical School. He was previously the spiritual leader of Anshe Sholom B’nai Israel Congregation, received his ordination from Rav Aron Soloveichik and Yeshivas Brisk and also from Yeshiva University in New York . He holds an M.Phil. in Medieval Arabic Thought from Oxford University as well as a BA in International Relations and Islamic Studies from Boston University. He has done doctoral work, also at Oxford , in Islamic Fundamentalist Attitudes Toward Jews. 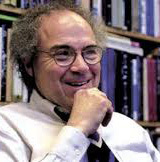 Rabbi Lopatin won a Rhodes Scholarship in 1987 from Massachusetts and was a Wexner Fellow. Newsweek Magazine has listed Rabbi Lopatin as one of the top 25 rabbis in America. 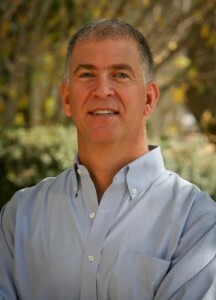 Rabbi Leon Morris is one of the leading educators in the field of adult Jewish study. He was the Founding Director of the Skirball Center for Adult Jewish Learning at Temple Emanu-El in Manhattan, the premier adult Jewish learning program in the United States. Rabbi Morris was ordained from Hebrew Union College in 1997 where he was a Wexner Graduate Fellow and is a contributor the recently published book, Jewish Theology in Our Time: A New Generation Explores the Foundations and Future of Jewish Belief (Jewish Lights, 2010). Rabbi Morris now lives in Sag Harbor where he is the rabbi of Temple Adas Israel. 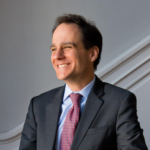 Rabbi Jonah Dov Pesner serves as the Director of the Religious Action Center of Reform Judaism. He has led the Religious Action Center since 2015. Rabbi Pesner also serves as Senior Vice President of the Union for Reform Judaism, a position to which he was appointed to in 2011. Named one of the most influential rabbis in America by Newsweek magazine, he is an inspirational leader, creative entrepreneur and tireless advocate for social justice. 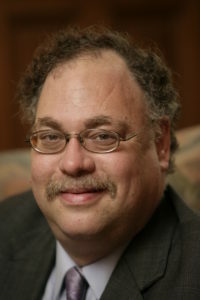 Professor Jonathan D. Sarna is the Joseph H. and Belle R. Braun Professor of American Jewish History in the department of Near Eastern and Judaic Studies at Brandeis University and the director of the Hornstein Program in Jewish Professional Leadership. He is regarded as one of the most prominent historians of American Judaism. Sarna is a prolific author, including the seminal work on the 350th anniversary of the founding of the American Jewish community, American Judaism: A History. The book won a number of awards, including the National Jewish Book Award for 2004 and the Publishers Weekly Best Religion Book 2004 award. Sarna received the Association for the Social Scientific Study of Jewry‘s Marshall Sklare Award in 2002. Professor Sarna is a regular contributor on religion to the Newsweek–Washingtonpost.com joint project On Faith. 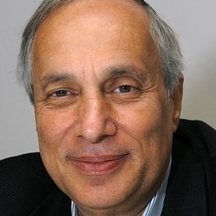 Chaim Seidler-Feller has been working with students and faculty as the Executive Director of the Yitzhak Rabin Hillel Center for Jewish Life at UCLA for thirty-eight years. 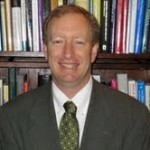 He is also the director of the Hartman Fellowship for Campus Professionals. He was ordained in 1971 at Yeshiva University where he completed a Masters in Rabbinic Literature. Chaim is a lecturer in the Departments of Sociology and Near Eastern Languages and Cultures at UCLA and in the Department of Theological Studies at Loyola Marymount University. He is also a faculty member of the Shalom Hartman Institute for Advanced Jewish Studies in Jerusalem, and of the Wexner Heritage Foundation. 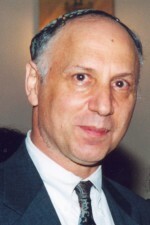 He was a founding member of Americans for Peace Now.The International Hillel Center has granted Chaim the Hillel Professional Recognition Award “for blending the love of Jewish tradition with the modern intellectual approach of the university.” Chaim was a rabbinic consultant to Barbra Streisand during the making of the film Yentl. He is married to Dr. Doreen Seidler-Feller, a clinical psychologist, and is the father of Shulie, a photo-journalist and Shaul, a rabbinic student at Yeshiva University, who is pursuing an advanced degree in Jewish history. Rabbi David Silber is the Founder and Dean of Drisha Institute for Jewish Education. He received ordination from the Rabbi Isaac Elchanan Theological Seminary. He received the Covenant Award in 2000. He is the author of A Passover Haggadah: Go Forth and Learn (JPS, 2011). Rabbi Professor Daniel Sperber is the Milan Roven Professor of Talmud Studies at Bar-Ilan University. As well as being an expert in classical philology, Jewish art history, Jewish customs & education, and Talmudic studies, Rabbi Prof. Sperber is an author and commentator who has called for a greater inclusion of women in certain ritual services, including ordination. Rabbi Sperber’s latest books is On the Relationship of Mitzvot Between Man and His Neighbor and Man and His Maker (Urim). Rabbi Joseph Telushkin is a spiritual leader and scholar. He lectures across the US, and serves as an associate of CLAL, the National Jewish Center for Learning and Leadership, and as spiritual leader of the Synagogue for the Performing Arts in Los Angeles. He lives in New York City with his wife, writer Deborah Telushkin, and their four children. Born and raised in New York, he is a graduate and ordained rabbi of Yeshiva University in New York. He later pursued graduate studies in Jewish history at Columbia University. He is an author of many books on Jewish theology, philosophy, and history, and has written several novels as well as popular articles and television and film scripts. He has also written several books on Judaism and anti-Semitism with childhood friend and LA radio personality, Dennis Praeger. Rabbi Avi Weiss is the Founder and President of Yeshivat Chovevei Torah (the YCT Rabbinical School), the Founder founder of Yeshivat Maharat for Orthodox women, and the Senior Rabbi of the Hebrew Institute of Riverdale, a modern and Open Orthodox congregation of 850 families in Bronx, NY. 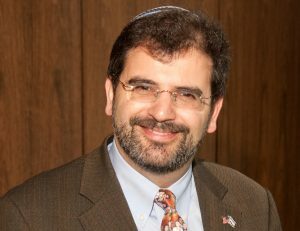 Rabbi Weiss is the National President of the AMCHA – the Coalition for Jewish Concerns, a grassroots organization that speaks out for Jewish causes throughout the world. He has authored multiple books. 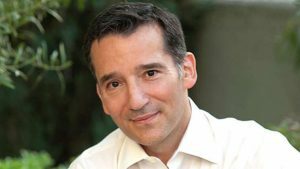 Rabbi David Wolpe is the rabbi at Sinai Temple in Los Angeles, an author, and public speaker. He was named the most influential rabbi in America by Newsweek in 2012 and one of the 50 most influential Jews in the world by the Jerusalem Post. In addition, Rabbi Wolpe was named one of Jewish Daily Forward‘s 50, and one of the hundred most influential people in Los Angeles by Los Angeles Magazine. Author of seven books and a frequent television guest, Wolpe writes a weekly column in The Jewish Week.